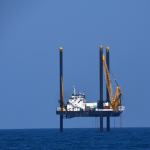 Each year University of Texas Institute for Geophysics (UTIG) researchers and students undertake several major seagoing campaigns. In the spring, UTIG researchers conduct an MG&G field course to train students. The campaigns and field course employ a variety of geophysical techniques, including 2D and 3D seismic reflection imaging, seismic refraction acquisition, chirp profiling, multibeam bathymetric swath mapping, coring, ocean drilling, and logging. Collected data allow for examination of a wide variety of processes such as strata formation, coastal sedimentation, gas hydrate evolution, sea level change, tectonic-climate interactions, fault zone deformation, fluid migration, earthquakes, tsunamis, continental dynamics, rifting, tectonic collisions, and plate boundary migration. 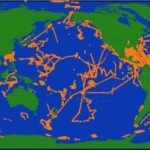 These studies target various marine settings including subduction zones in Asia and Central America; mid-ocean spreading centers in the Atlantic and Pacific; complex tectonic settings in the Western Pacific, the Arctic, Alaska, South America, the Caribbean, India, and Antarctica; and coastal systems along the continental margins around the world. Earthquake seismology has been a significant part of UTIG’s research program since the institution was founded more than 40 years ago. Research areas include field studies of tsunamis and damaging earthquakes in the Solomon Islands, ocean-bottom seismograph investigations of earthquakes in Alaska and the South Pacific, and even investigations of lunar quakes (moonquakes) measured by seismographs left on the moon the by the Apollo astronauts in the 1970s and seismometer data acquired by the Viking Lander 2 on Mars during the 1976-1978 period. More recently, UTIG seismologists working in Texas have been leaders in the renaissance of interest in human-caused earthquakes. Thanks in part to this work, Texas legislature funded a 4.75 million dollar program during the 2015 legislative session to install a statewide seismograph network in Texas, and to investigate human-caused earthquakes. Images of current and recent seismograms at stations in Texas and neighboring regions are available online. Tectonics research at UTIG ranges from modeling global plate reconstructions to microtectonic analysis at the outcrop level. 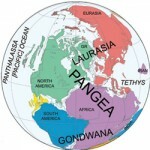 Scientists employ a wide variety of techniques including terrestrial and marine field studies, paleoseismology, sclerochronology (analysis of annual growth bands in corals), computer modeling, and ArcGIS compilation. UTIG researchers investigate tectonic processes as diverse as subduction, magmatism, rifting, orogenesis, and plate boundary/triple junction evolution, focusing on how these processes influence and respond to surface processes, glaciation, crustal fluids, climate, and ocean circulation. 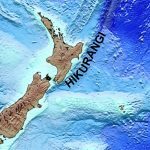 Researchers from UTIG will be traveling to New Zealand in 2017 to study the Hikurangi Subduction Zone. UTIG’s geodynamics research interests lie at the intersections of geodynamics, geology, and seismology with a focus on the interactions between mantle convection and surface tectonics. The researchers study the inner workings of terrestrial planets, and how their mantle and surface systems have co-evolved over time. Our group combines field, laboratory, experimental, and numerical approaches to construct dynamical models, focusing on the physics of plate tectonics, from grain-scale deformation to plate-scale flow. They are always looking for motivated undergraduate and grad students. For more information contact Thorsten Becker or Luc Lavier. Each Maymester, UTIG offers a Marine Geology and Geophysics field course designed to provide hands-on instruction in the collection and processing of data for graduate and upper-level undergraduate students. The class involves a week of at-sea field work and on-shore lab work, as well as a week in Austin integrating the techniques into a final project. For more information, visit the MG&G Field course page or contact Sean P.S. Gulick. Learn more about our researchers, staff, and students that focus on Marine Geosciences, Seismology and Tectonics.